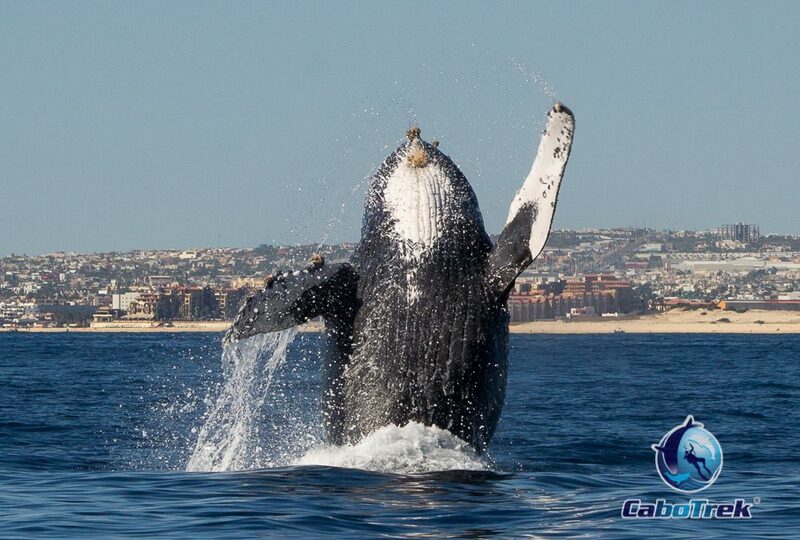 We were out for a regular whale watching tour, as we usually do in this period of the year here in Cabo San Lucas (Mexico) , but somehow this day was different, we could feel it. So after cruising around in search for some active whales we finally spot some a few miles out of Punta Ballenas, one of our favorite dive spots during the sommer time. One whale started to slap it’s tail and that was a good sign! So we fired up the engines and in no time we were very close to where the action was: in the meantime I was getting the drone ready for the flight! Ok the “bird” is up in the sky and while one whale is slapping its tail and its pectoral fins the other one is getting ready to put up a show. The water calms down and becomes crystal clear, I now can see through my goggles the whale preparing for the jump, I position the drone in the best possible spot waiting for it to come, I was nervous and I could feel it on my fingertips, so I just decided to not touch the remote…I really did not wanted to mess up the greatest shot of my life! And there it is: a majestic humpback whale breaching out of the water, 40 tons of flash and bones almost flying! Impressive! 2 Years I’ve been waiting to have the chance to make this shot, this day has come and I have to admit that there was a certain amount of luck in this shot, but consistent work pays off sooner or later, and Cabo San Lucas as a whale watching destination is a great spot known for the great show this animals put up for our guests every year!